Sometimes when I’m traveling, I’ll taste something that is so good I want to make it at home. Of course, in all honesty, my cooking can’t compare to most of the chefs I encounter around the world. Still, it’s fun to try to recreate something I really enjoyed. Every year it seems chefs get more creative, using local ingredients and craft specialty items. The use of local honey has just boomed, and I was able to visit two different bee farms in the last year to see just how the bees were kept and honey was made. Last year my husband and I took a short trip to Longboat Key and stayed at Zota Beach Resort. The chef there serves up beautiful charcuterie platters with homemade parmesan crisps, freshly caught and so tender Calamari Fritto, and a Snapper entree that will have you swooning. 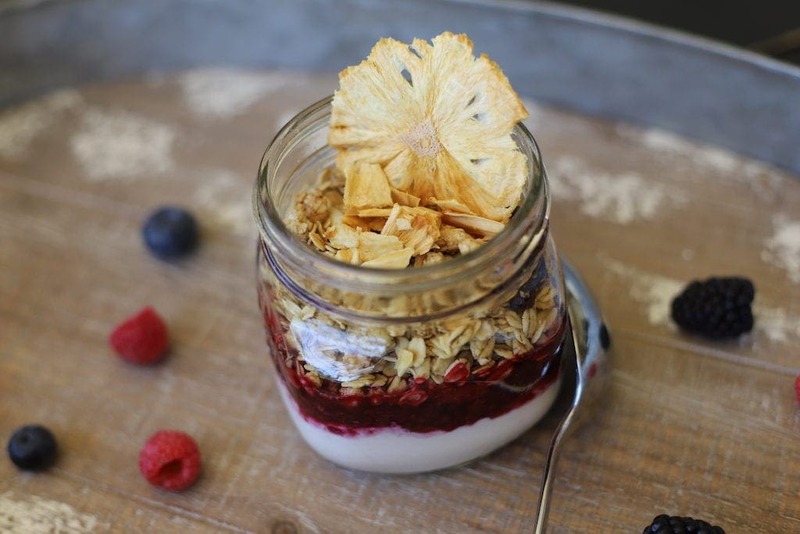 One morning while we were browsing the breakfast menu, I spotted the Viento Parfait. This was a boozy fruit parfait using Grand Marnier infused ricotta cheese, topped with berry compote and fresh in-house made quinoa granola. Holy moly. How can you not order that? Unfortunately, the last time I looked, this was no longer on the menu. Maybe people don’t like to start their day with Grand Marnier, because there’s a healthier and booze-free version on the menu now. I’m sure it’s delicious, too, but oh – how I love Grand Marnier with ricotta! You’ll want to make the brine first as it needs to steep for 4-5 hours. 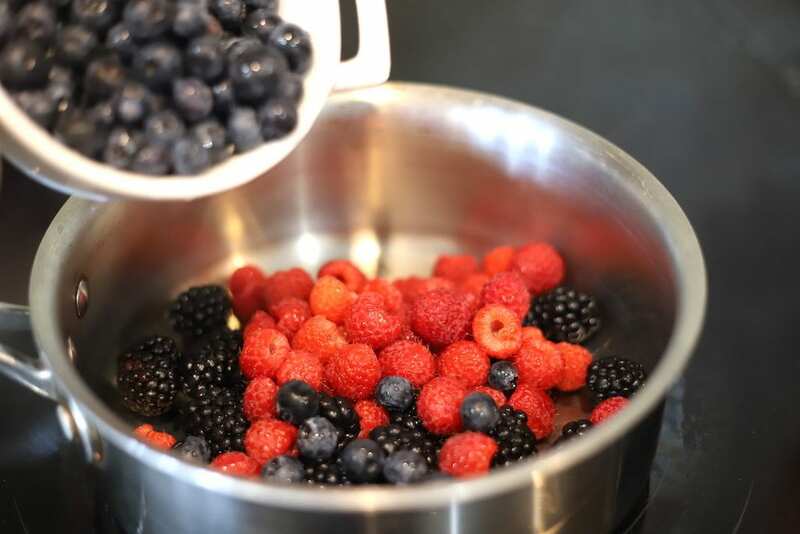 Wash your berries and add to medium saucepan. Add orange juice and sugar. Cook over medium heat until soft. 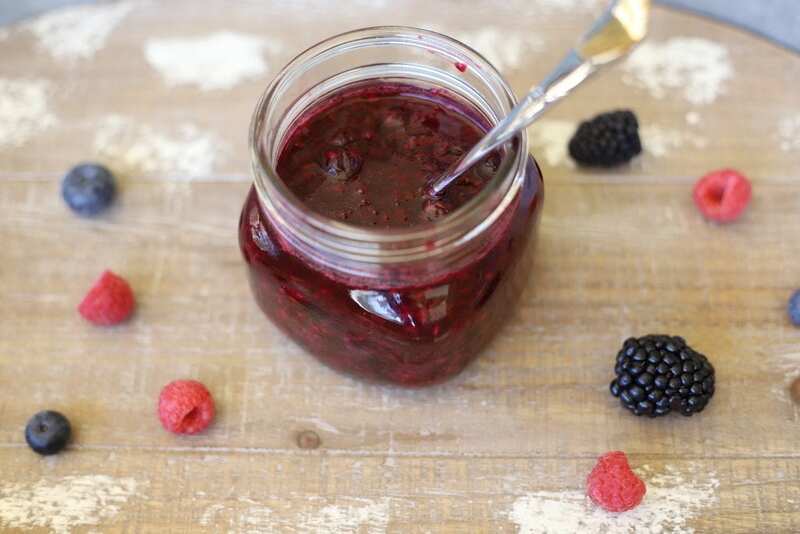 Use this compote for pancakes or waffles! So good! 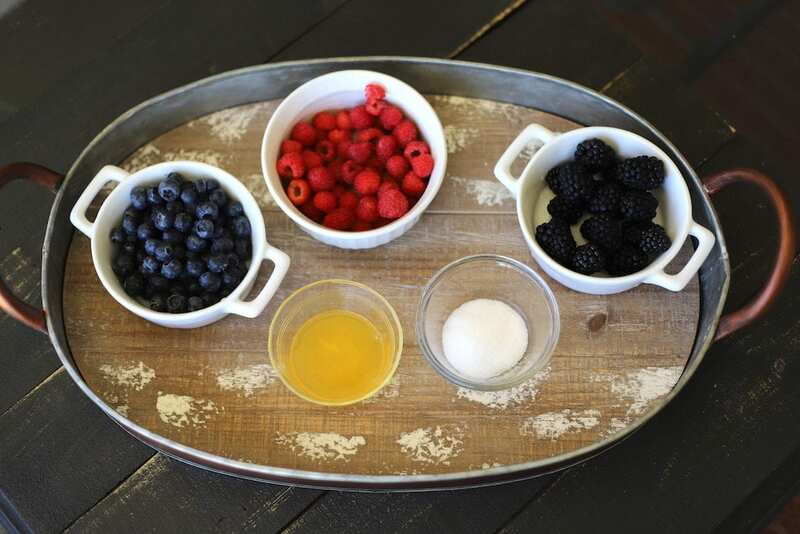 Layer parfait ingredients as instructed below. NOTE: I used a 16-ounce wide mouth Ball jar. This serving was huge and even with my husband helping, we didn’t finish it. You could serve it like this and share it, or you could serve it in two 8-ounce Ball jars. 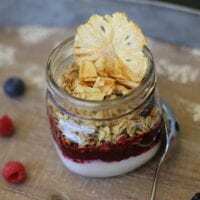 You may even be able to make it go far enough to serve it in 4-ounce jars to make 4 small servings as I did with these Easy Breakfast Parfaits. Let me know if you try that! I bought this Quinoa Granola ahead of time. You may be able to find it in your grocery store, but I didn’t want to have to go to several stores to look so just ordered it! I have a feeling you’re going to love this recipe! 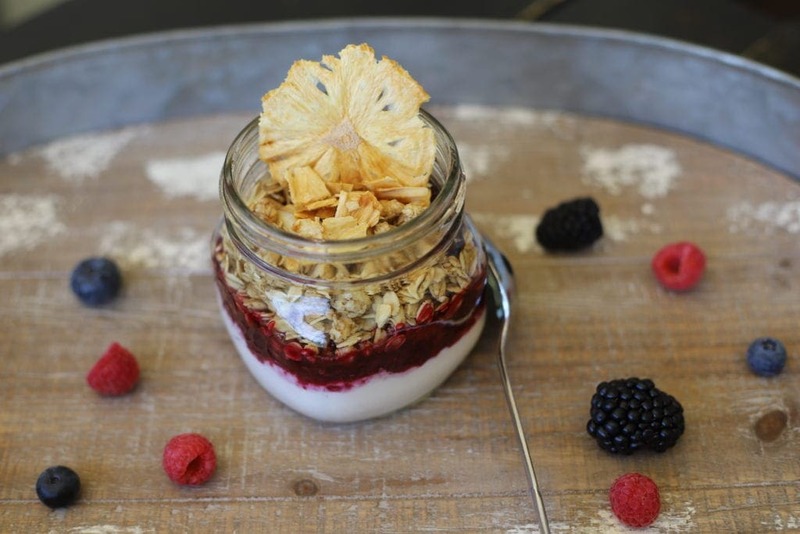 This boozy fruit parfait using Grand Marnier infused ricotta cheese and topped with berry compote and fresh in-house made quinoa granola is insanely delicious! Strawberry Brine Instructions: Combine and let sit 4-5 hours. 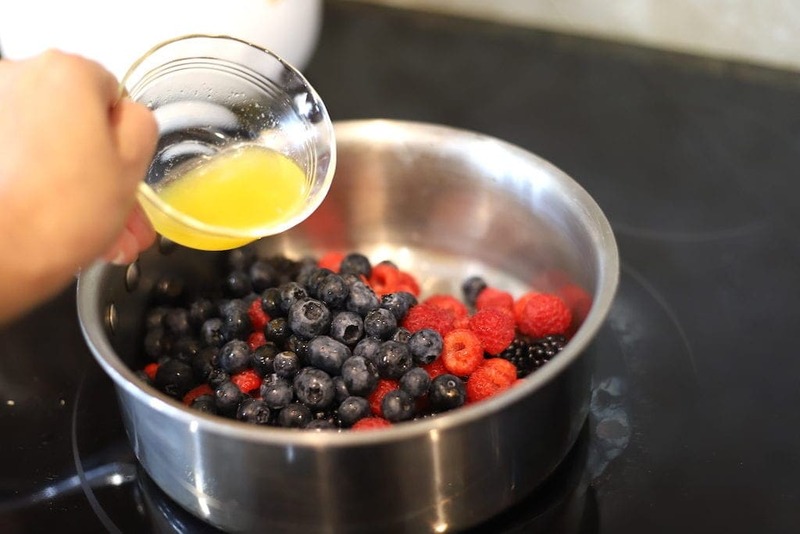 Berry Compote Instructions: Combine berries in a small saucepan with orange juice and sugar and cook on low until soft. Use leftovers for pancakes or waffles. 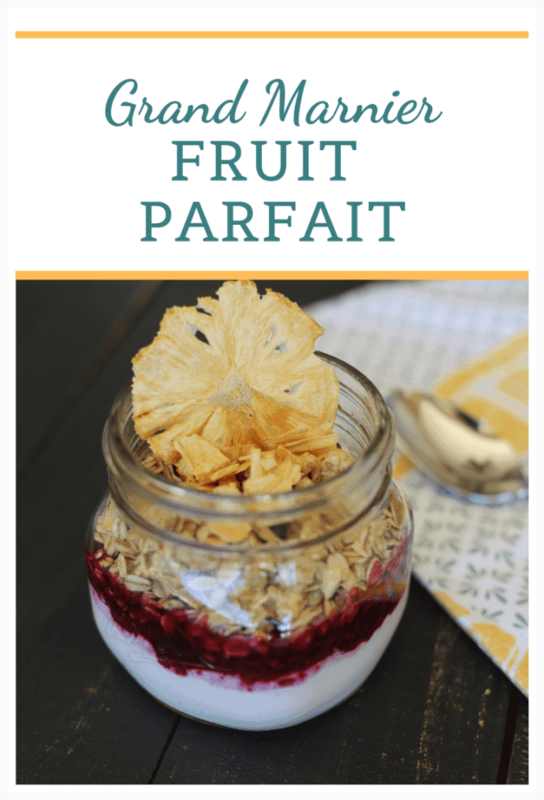 Final Instructions: This recipe makes one parfait, so you will need to do the math to figure out how much to make for your guests. Once you’ve prepared the ingredients, combine the lemon zest, ricotta, and liquid from the strawberry brine. Add the strawberries to the other berries and layer them over the ricotta. Top with granola. I found dried pineapple circles that made a great garnish, but it's totally optional. You could totally switch up the fruits in this recipe.I was thinking pineapple and coconut, or peaches and kiwi. Banana might make a nice addition, too. The possibilities are endless. Tell me if you try it with other fruits so I can try it, too. I think you’ll also love this (family friendly!) 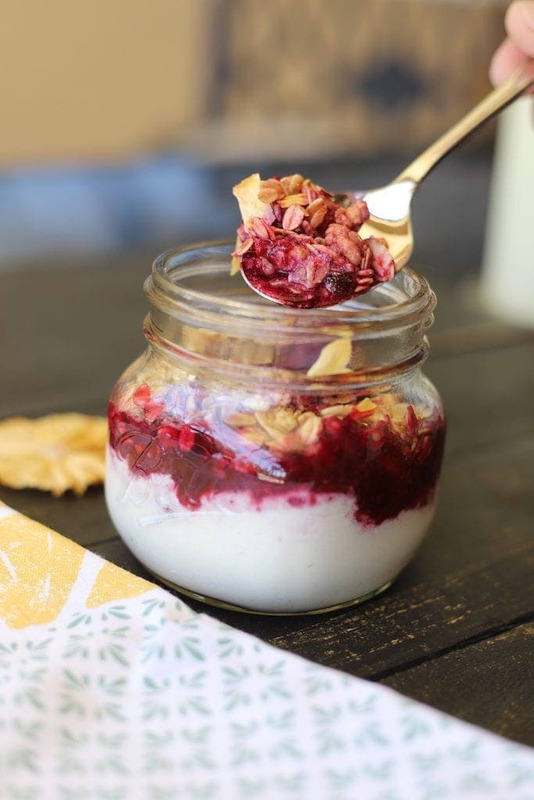 yogurt based Breakfast Parfait. And for a sweet dessert, try this Pumpkin Pie Parfait.